The aircraft are on duty 365 days per year. During the traditional fire season. The MMA can​ typically launch within 30 minutes of notification and be almost anywhere within the state​ within 45 minutes of launch. Since April 1, 2018 the single engine air tanker (SEAT) has dropped over 280,000 gallons of water, retardant and suppressant. 7 Engines staffed by combinations of DFPC and fire department personnel, available to support local jurisdictions with initial and extended attack. 7-10 person team of Firefighting personanell dedicated to planning, monitoring and starting fires. They are used for resource benefits, prescribed fire and hazard fuel reduction projects. 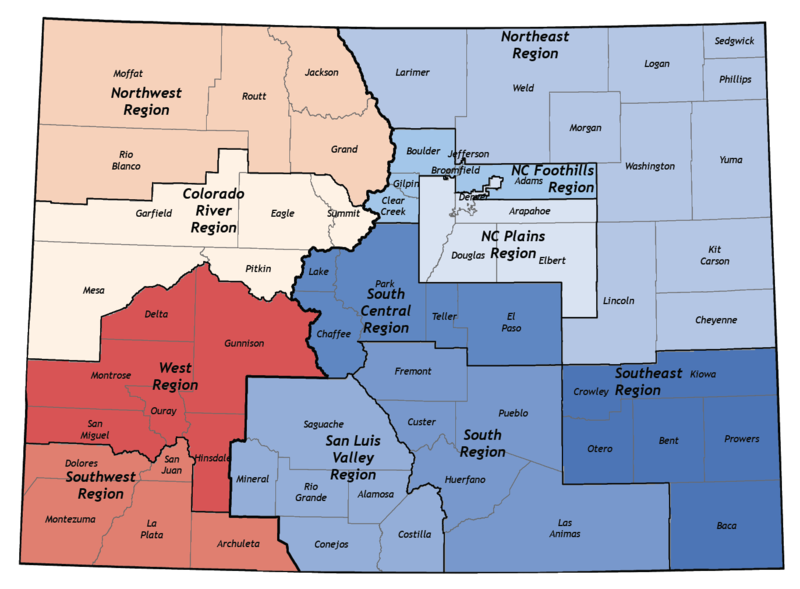 Colorado will be soon creating a Wildland Fire Module in each fire quadrant come 2019. If you would like to learn more about the possibility of a career in Wildland Fire, Click here. To request DFPC assistance with a wildfire, call 303.279.8855. For day to day business, contact your Regional FMO.